Our standard poolside room with a convenient exterior entrance. These rooms have full baths with tub and showers. 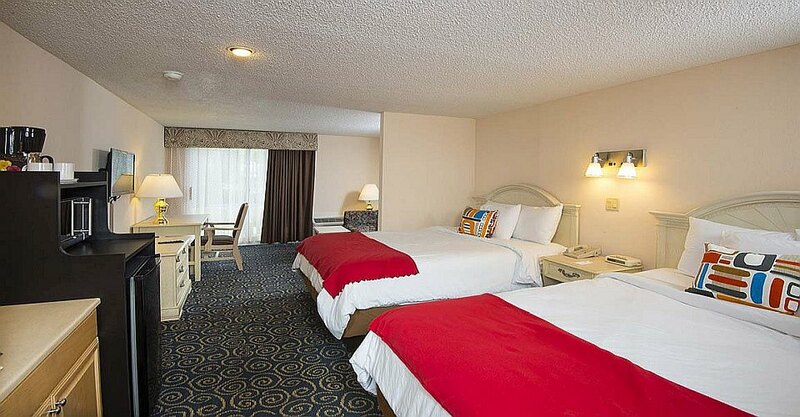 These rooms can accommodate four guests. Rollaway bed is not available for this room type. Deluxe Queen Room is located in our hotel building with a stand up balcony, full baths with tub and shower. These rooms can accommodate up to five guests and a rollaway bed. 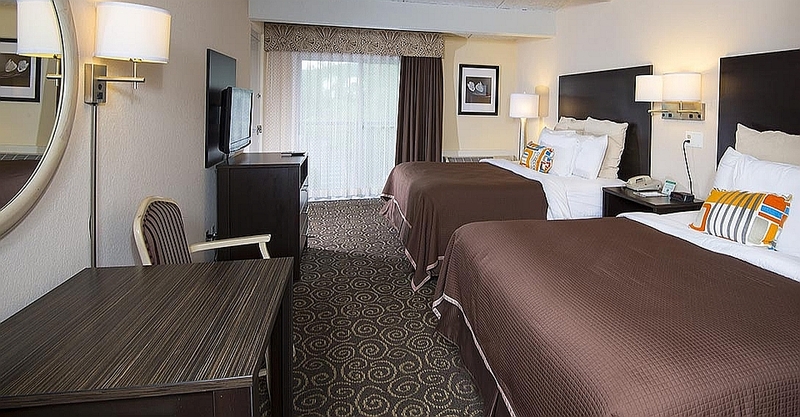 Family suite features two queen beds and a full size sofa sleeper, new walk-in showers and an outdoor patio. 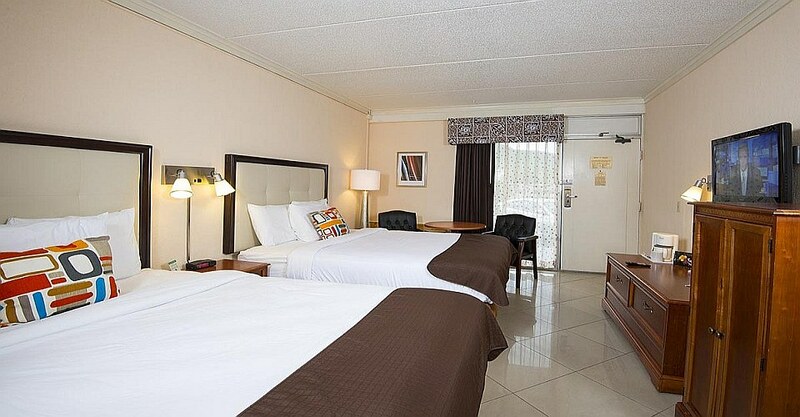 These suites can accommodate six persons. 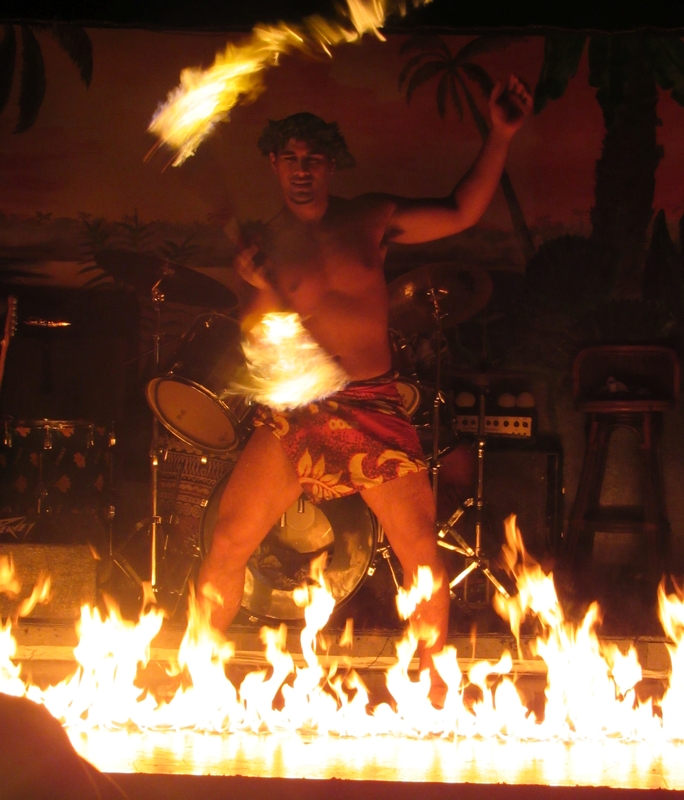 The iconic TIKI Resort overlooks the panoramic mountain scenery of beautiful Lake George. Secluded, serene, simply luxurious... nestled in a breathtakingly beautiful spot in lovely Lake George, relax and enjoy our spacious, comfortable lodging with a host of amenities. Need activity? We have swimming at our 60 foot pool that overlooks the beautiful vistas of Lake George, a heated indoor pool, children's playground, barbeque grills, fitness room and much more for our guests to enjoy.